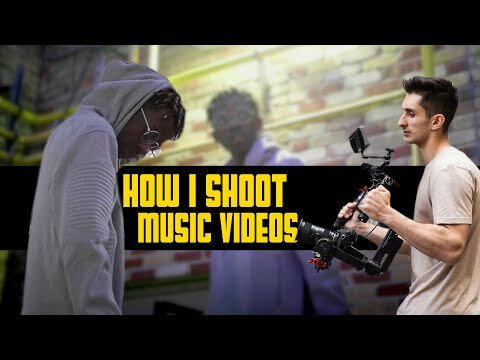 This is a very RAW 'Behind The Scenes' of how I go about's shooting a hiphop/rap/trap music video. This isn't a professionally set up shoot with thousands of dollars worth of budget.. This is a super raw, hitting the streets with a gimbal & high quality camera & shooting for a smaller artist. A lot of people think music videos are super tough to shoot but this video truly shows myself, the videographer/producer & the artist working together to make all of our shots work which takes a ton of stress away from shooting a music video. We started shooting pretty close to sunset so I tried my best to explain what I was doing on set and how I was setting up each shot before we lost sunlight and why I was setting everything up the way I did. Again, this is a very raw shoot and VERY freelance videographer based. As you could tell at the beginning of the video when driving to the shoot I literally scoped out our last spot while looking for a parking spot. All of this footage was taken off of a Panasonic GH4 shot either in 4k 24p or 1080p HD 60p while mounted on a full size DJI Ronin Gimbal. Maybe you picked up some music video shooting tips, maybe you didn't. However what counts the most when walking away from this video is how laid back this shoot was and how a positive/confident artist & videographer relation on set is key. Big thanks to the artist Bonfice & his buddies on set for being awesome in front of the camera while I vlogged this shoot. Always a good time shooting with this group!